Tai Sin Electric Limited, together with its subsidiaries, designs, develops, manufactures, and trades in cable and wire products. The company’s Cable & Wire segment provides power, control, instrumentation, and fire resistant and flame retardant cables for use in various areas of electrical and instrumentation installation for commercial, residential, industrial, and infrastructure projects. Its Electrical Material Distribution segment provides industrial control systems and components, sensing products, measurement and monitoring systems, and power quality systems; and safety, cabling, and electrical accessories, as well as lighting and energy monitoring solutions to a range of industries, which includes industrial automation, maintenance, repair, and operations. The company’s Switchboard segment offers switchgears comprising main and sub switchboards, distribution boards, control panels, and others for use in large buildings and industrial installations. Its Test & Inspection segment offers consultancy, testing, inspection, and certification services for materials comprising concrete, soil, and asphalt premixes. The company also engages in general construction and technical engineering, construction and infrastructure maintenance, oil and gas, and non-construction activities, as well as distributing electrical and control products. It serves end-users, contractors, manufacturers, system integrators, engineers, and consultants in Singapore, Malaysia, Brunei, Vietnam, Indonesia, Thailand, and internationally. 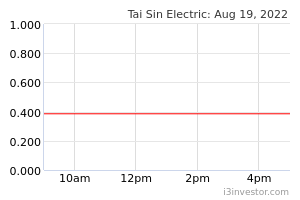 Tai Sin Electric Limited was founded in 1980 and is headquartered in Singapore. 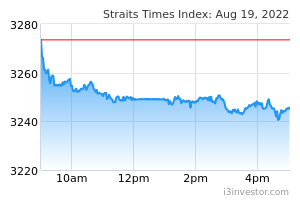 khor hai chuai Why this share didn't break through $0.40 for few weeks ? Can any experts explain it ?